Description: Autism Ontario offers three post-secondary education scholarships:1. Eleanor Ritchie Education Scholarship for individuals on the autism spectrum entering the first year of a post-secondary program.2. Jeanette Holden Educational Scholarship for siblings of a person on the autism spectrum who are entering the first year of a post-secondary program.3. McDonald Family Educational Scholarship for children of a parent on the autism spectrum who are entering the first year of a post-secondary program. Eligibility: For individuals on the autism spectrum or have siblings/parents on the autism spectrum. All scholarships also require that the student must currently live in Ontario and be accepted in first year in any level of a post-secondary institution in Canada. Application: Application information can be found on website. Description: This bursary has been established to assist students with physical disabilities in full-time study at an Ontario College of Applied Arts & Technology. Bursaries are granted each year to one male and one female who demonstrate potential for studies at the Community College level. Each successful applicant receives a $2,000.00 bursary. Eligibility: Students must:- Be a Canadian citizen or permanent resident;- Intend to register in September of that year in the first year of a COLLEGE OF APPLIED ARTS & TECHNOLOGY as a full-time student;- Have a physical disability which severely restricts their physical activities;- Have demonstrated leadership and community service; and- Have demonstrated participation in extra-curricular activities. Referral: Self-referral is acceptable but two letters of recommendation are needed for the application. Application: The application form can be found online and must be accompanied by the following documents: photocopy of proof of the applicant's citizenship, a copy of the applicant's most recent secondary school transcript. a personal letter of introduction including a description of the applicants disability and how it has impacted studies, two letters of recommendation. Description: The Canada Student Loans Program provides financial assistance in the form of loans and grants to post-secondary students who demonstrate financial need. This program was created by the Government of Canada (Service Canada) to make postsecondary education accessible to students with financial need. Eligibility: Students must first apply for a provincial or territorial student loan. Students are automatically considered for a Canada Student Loan when they apply for a provincial or territorial student loan. Fee: Yes. You must pay back your student loan. Application: Loan application forms are available from provincial and territorial student assistance offices and at financial aid offices in educational institutions.Students must apply every year in order to receive funding. Description: The CHHA/CHHAF Scholarship offers financial assistance and recognition to hard of hearing and deafened students registered in a full time program at a recognized college or university, in any area of study, with the ultimate goal of obtaining a diploma or degree. Eligibility: Applicants to this Scholarship Program must be either hard of hearing, deafened or oral deaf. Support documentation is required.Eligible applicants may be first-time or returning post-secondary students at a recognized College or University. Applicants must be a Canadian citizen, permanent resident/landed immigrant, convention refugee or a protected person living in Canada. Field of study may be a factor in the selection process for some scholarships. Mature students are also eligible applicants.Eligibility for this Scholarship is based on an overall assessment of the applicant. Applications will be judged by a number of criteria including academic achievement, determination to cope with hearing loss, and community involvement.Recipients must agree that names and/or photographs may be used for promotion of the Scholarship Program and to encourage future applicants. Description: The Cancer Assistance Program (CAP) is a community-based, non-profit organization offering free services for individuals and families affected by cancer, living in the greater region of Hamilton and surrounding communities. Description: The Copnick/Hilliard Scholarship offers $1,000 to a physically disabled student enrolled at the post-secondary level in Canada. Eligibility: Physically disabled students enrolled at the post-secondary level in Canada. Referral: Letter of references needed. Application: Completed applications must be received in the national office of the Canadian Paraplegic Association no later than August 31. Applications must include transcripts from at least the last two years of study along with supporting documents or letters of reference. Description: The Emmy Duff Scholarship is open to Canadian students who have had treatment (or are currently being treated) for cancer currently residing in Canada. Successful candidates will have demonstrated an ongoing volunteer commitment to causes that are important to them. $2,000 is awarded for this scholarship. Eligibility: In any year of their studies;A resident of and currently residing in Canada;Have demonstrated an ongoing volunteer commitment to causes that are important to them;Have undergone treatment or are currently being treated for cancer. Application: Application forms are available online. Applications require a statement from your oncologist or current physician confirming that you were (or are currently receiving treatment) for cancer. Description: Hope Air arranges free flights for low-income Canadians who must travel to healthcare. They arrange flights for children and adults suffering from a wide range of illnesses, including cancer. Eligibility: Low-income Canadians, all ages. Application: Clients can call or fill in a form online. Description: The Jennifer Ashleigh Childrens Charity assists seriously ill children and their families with special treatment needs, medical expenses and financial assistance in times of need. Eligibility: The child must be 18 years of age or younger.The need for financial assistance must result from extraordinary costs which are incurred directly as a result of the childs illness or disability.The child must be diagnosed with a serious illness or permanent disability by a Canadian Medical Practitioner.The child and parent or guardian must be a Canadian Citizen or Landed Immigrant and be a permanent resident of Ontario. Refugee/Convention refugee status does not qualify.The familys combined gross annual household income must be $60,000 or less. The family must have used up all other financial resources available to them. Referral: Self referral. A Social Worker or Healthcare Professional may apply on behalf of the family. Description: Larga has a residence in Ottawa which provides a safe and comfortable home-like atmosphere for Inuit travelling from the Baffin region of Nunavut for medical services. Larga also coordinates all local transportation and return travel. Eligibility: Inuit travelling from the Baffin region of Nunavut for medical services. Description: Scholarship applicable towards full-time studies of a first undergraduate degree. Value of $2,000. Application: Application forms can be found online. 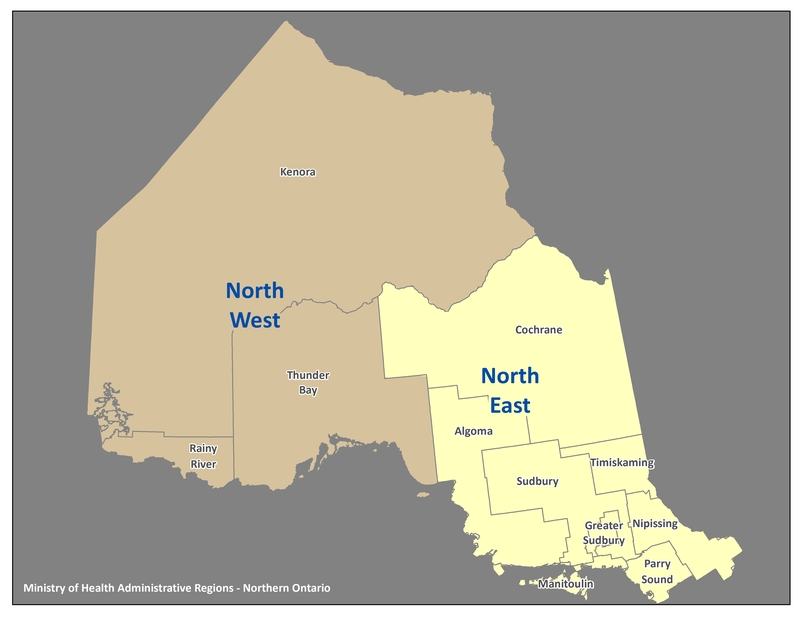 Description: Northern Health Travel Grants are funded by the Ontario Ministry of Health and help pay transportation costs for Northern Ontario residents who must travel long distances for medical care. 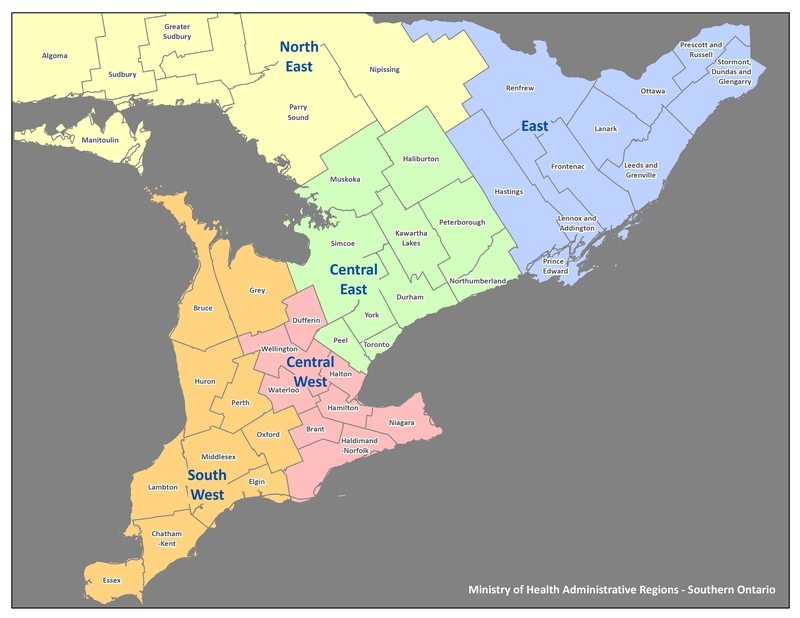 Eligibility: You are an OHIP-insured Ontario resident on the date of treatment, and your primary place of residence is in the districts of Algoma, Cochrane, Kenora, Manitoulin, Nipissing, Parry Sound, Rainy River, Sudbury, Thunder Bay, or Timiskaming;A northern physician, dentist, optometrist, chiropractor, midwife or nurse practitioner has referred you before the travel takes place;The nearest specialist or approved health care facility able to provide the type of care you require in Ontario or Manitoba is at least 100km from your area of residence. Referral: Before you travel, a referral from a Northern Ontario referring health care provider is required. Application: Obtain the application form from the office of your referral. You can also obtain the form from your local Ministry of Health and Long Term Care office. (A list of offices in Northern Ontario is provided online). Description: The Ontario Student Assistance Program (OSAP) offers a variety of grants and loans to students. Through one OSAP application, you have access to various financial aid programs, depending on your circumstances. Students with a permanent disability could be eligible for grants and bursaries in addition to an OSAP loan that can help cover costs of educational services and equipment. OSAP is offered by the Ontario Ministry of Advanced Education and Skills Development. Eligibility: OSAP is open to Ontario residents who are a Canadian citizen, permanent resident or protected person that requires financial assistance or has a disability. Loans and grants are available to full-time and part-time students who plan to enroll in a postsecondary program. A person with a permanent disability is considered to be a full-time student if he or she is taking at least 40% of a full course load. Full time students and part time students with a disability or who have been affected by a medical condition such as cancer are eligible for 30% off tuition grant. Application: Application is available online in which information pertaining to financial need or permanent disability is required. Description: A charity dedicated to helping kids with special needs and kids who are hungry meet their full potential. This charity financially supports the Boys and Girls Club of Canada, Breakfasts for Learning and individual families with children who have special needs. Eligibility: To be considered a candidate for assistance, applicants must meet the following criteria: a child (18 and under), diagnosed physical or developmental disability, household annual income $70,000 or less and must be a Canadian citizen and/or have permanent resident status in Canada. Application: Yes, application is available online. Description: Provides funds to offset the costs of respite care provided by professional nursing assistance in the home (funding goes directly to nursing agencies). Eligibility: Families caring for children and youth birth to 18 years who are chronically ill or have physical disabilities and living at home. Referral: Yes, by social worker or through community care access centre (CCAC). Application: Application form filled out by referring professional. Description: Shine Through the Rain Foundation assists children and their families who are facing the hardships of cancer diagnosis. The Foundation focuses on improving the mental, social and emotional well-being of these families while helping to minimize the devastation that cancer can cause. Referral: Referrals from physician, nurse. social worker or other agencies. Families can also self-refer. Application: Applications can be found online, and must be emailed or faxed. Description: The Tara Boom Houston Children's Foundation helps eliminate some of the financial barriers that may prevent or impede access to treatment and detract from the quality of life for these children and their families. Eligibility: Children under the age of 18 who suffer from a life threatening illness, and is a resident of South Western Ontario (within the defined assistance area). The family must also demonstrate that the child's illness has placed them in financial hardship. Referral: Contact to Taraboom must come directly from the family in need of assistance. Application: Send a contact letter of request by email or mail. An application will be required after the family's eligibility is approved. Please visit website for details. Description: The Minds In Motion Awards were established to help with the costs of tuition, specialized software, tutors, note takers and other essential accommodations that are needed so that students with learning disabilities can achieve their potential at school. Eligibility: To be eligible for a Minds In Motion award, a candidate must: 1. Have a documented learning disability, 2. Be a resident of Ontario and have graduated from an Ontario high school, 3. Be attending a Canadian college or university or a post-secondary institution outside of Canada (Preference will be given to students in their first program of study). Application: Submit a completed application form via fax or mail before June 30. Description: The Unforgettables Fund helps financially traumatized families spend the last moments with their dying child without worrying about the impending cost of a dignified funeral. Visit http://theunforgettablesfund.com/ to learn more about their chapters in Ottawa, Toronto and Southwestern Ontario. Eligibility: Families must be under the care of SickKids, CHEO or Rogers House. Eligibility criteria include the family's financial capacity, the overall cost of the funeral and utilization of other sources of support when appropriate. Application: An application is made to The Unforgettables Fund administrator upon the death of the child. Description: The Joubin/Selig Scholarship Fund provides financial assistance to post-secondary students in Ontario with permanent physical (mobility) disabilities who wish to pursue an education in their chosen field of study. The total award amount available varies from year-to-year. Awarded scholarships range from $500 to $3,000, with a maximum set at $5,000.00. Eligibility: Eligible persons will be full-time students enrolled in a recognized post-secondary institution in the province of Ontario.Applicants must have a permanent physical (mobility) disability and must have demonstrated academic achievement and community leadership.Applicants must be a Canadian citizen or landed immigrant. Description: Wheel-Trans provides door-to-door accessible transit service for persons with disabilities using accessible buses, contracted accessible taxi minivans and sedan taxis in the City of Toronto. Eligibility: Eligibility is based on level of physical functional mobility in the home, within the area immediately surrounding the home, and in the community at large, as well as permanency of disability. Eligibility is not based on particular disabilities, general health or income. Fee: Yes, regular TTC fare. Application: All Wheel-Trans applicants, regardless of mobility status, are required to attend an in-person interview in order to determine eligibility. You are not required to complete an application form or obtain a letter from your physician prior to the interview. To apply, contact (416) 393-4111 or wtcs@ttc.ca.